AAEA President Norris McDonald spoke at a forum in Manchester, Connecticut sponsored by MC2 Technology, Inc (MC2) with the theme: "Preparing Failing Students for Success In Education & Life." 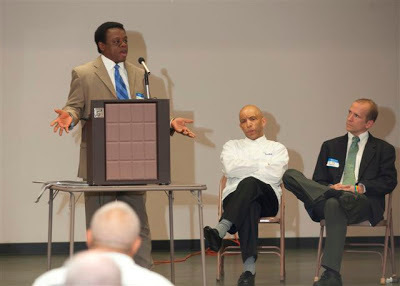 The forum was coordinated by MC2 President Samuel O. Cephas. 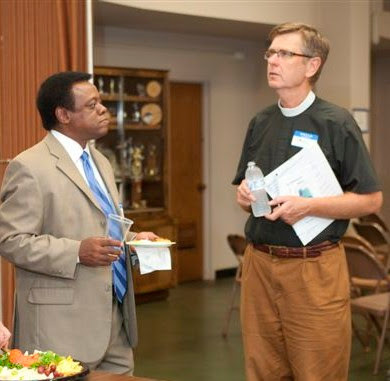 The forum was held at St. Mary's Episcopal Church on Friday, June 14, 2013. The Manchester 4-Walls Project is being coordinated by Sam Cephas. The Manchester 4-Walls Project is a 3-year pilot program that prepares failing students for success in education and life. The 4-Walls Project partners include Beyond The Gap and Students of Color (SOC). St. Mary's Episcopal Church will also serve as an instruction site for the students. The partnership grew from the shared vision of providing services that will attack the achievement gap, reduce truancy and drop-out rates, and provide paths to gainful employment or post high school education for low-performing students who are really "on-the-bubble." 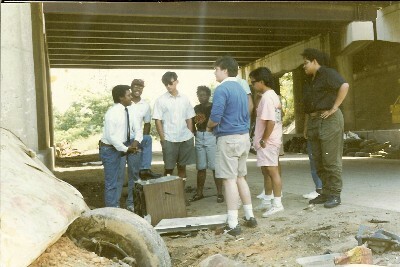 MC2 Technologies, Inc (MC2) provides training to young people through youth-at-risk programs. These programs include mentoring, tutoring, after school programs, scholarship assistance, life choices instruction and apprenticeship opportunities. Math and science are major emphases of MC2 programming. MC2's mission is to decrease truancy, reduce drop-out rates, raise student's GPA by one point, ensure success in core subjects, work primarily with low income students, provide scholarships to all program participants, promote retention for Connecticut colleges and universities, offer certifications and college credits, provide internship and co-op opportunities, teach financial literacy, build special curricula to overcome achievement gap, emphasize math and science and hands-on courses with field research. The 4 Walls Project began in July 2012 and included discussions with local businessmen, town leaders, social service providers and surrounding colleges. The goal is to begin with 12-15 students during the first year. The first year of the program will introduce students to basic math, science and financial literacy principles and concepts, providing the student with the foundation that will enable them to participate in the second year program. Students will also be assigned to instruction teams during the first year that will provide individuals with professional knowledge and experience in the targeted field of study. MC2 staff and volunteers work with students who are serious about making a difference in their own lives. Students are identified with the assistance of guidance counselors, teachers, parents and it is expected that a number of students will self-identify. Tutors work with these students to develop skills within the fields of mathematics, science, reading, writing, business -- utilizing desktop computers, interesting reading materials, and industry-related supplies and services, while also providing fun activities, such as games and field trips. Healthy food and beverages will also be available to ensure our young people remain mentally alert. In order to be accepted into the program, students are required to go through an application process, with the added requirement of a minimum 2.0 GPA. All students are required to attend seminars, programs or classes within the program three days a week. The students are required to fill out an application, provide a resume and letters of recommendation. Students are required to submit a writing sample; complete a pre-test that includes a math aptitude test; provide GPA and school attendance records, along with a letter from a current instructor and parental permission. The plan is that students accepted into MC are able to take their skills and leverage them into paid positions and acceptance into institutions of higher learning after high school. The Supreme Court struck down Section 4 of the Voting Rights Act (VRA) on Tuesday, the provision of the civil rights law that designates which parts of the country must have changes to their voting laws cleared by the federal government or in federal court. b) whether less than 50 percent of eligible voters were registered to vote by November 1964. In essence, states and counties with a history of racial discrimination were required to seek pre-clearance. The court did not rule on Section 5 of the Voting Rights Act, the preclearance requirement itself, which requires those affected states to have changes to their voting laws cleared by the Justice Department or a federal court in Washington, D.C., before they go into effect. Rather, the court ruled that the current formula that determines which states are covered by Section 5 is unconstitutional, effectively eliminating Section 5 enforcement. 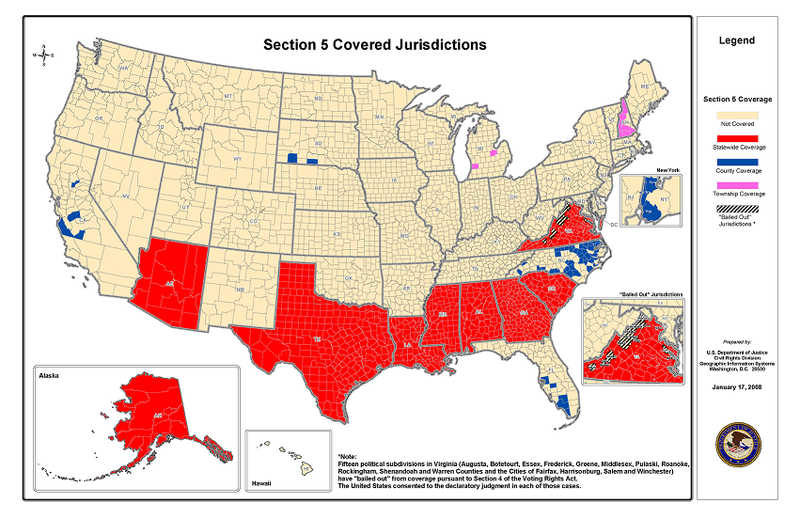 Until today, 9 states were subject to Sections 4 of the VRA— Alabama, Alaska, Arizona, Georgia, Louisiana, Mississippi, South Carolina, Texas and Virginia. As its director of "climate justice," Jacqueline Patterson is leading the NAACP’s campaign to shut down coal-burning power plants in minority communities. "Thirty-nine percent of the people living near coal-fired power plants are people of color, so what’s absolutely true is that there are a disproportionate number of people of color living next to these plants. Seventy-eight percent of African Americans live within 30 miles of a coal-fired power plant. We also discovered that Latino communities, as well as indigenous communities and low-income communities, are more likely to live next to coal-fired plants." "An African American child is three times more likely to go into the emergency room for an asthma attack than a white child and twice as likely to die from asthma attacks than a white child. African Americans are more likely to die from lung disease, but less likely to smoke." 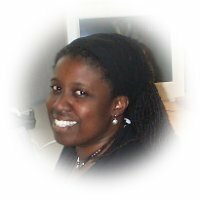 "We now have a weekly “black-green pipeline” career digest in which we send out jobs and training opportunities in the green sector." Patterson was previously coordinator of Women of Color United, Secretary of the Executive Committee of the Congressional Black Caucus Foundation Alumni Network, Assistant Vice President of Programs for IMA World Heath where she administered home based care and antiretroviral therapy programs in 12 countries in Africa and the Caribbean, Outreach Program Associate for the Center for Budget and Policy Priorities, Policy Anaylyst for the Baltimore City Healthy Start, Volunteer, and U.S. Peace Corps. 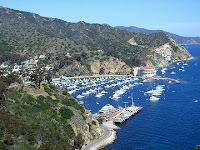 have agreed to partner with AAEA as participants in our Compton To Catalina Program. Center President Norris McDonald met with El Camino College Dean of Students Ricky Shabazz and Compton High School Principal Dr. Letitia T. Bradley on Thursday, May 30, 2013 to discuss the program. AAEA looks forward to providing students from these two leading institutions in Compton with trips to the island. Other partners include Greater Union Baptist Church and the California Center for Economic Initiatives. The Compton To Catalina Program is funded by Southern California Edison. component of the Compton Union High School District. In 1950, voters approved a bond issue separating the college from the high school district. The new college campus was then constructed at the present site. After many successful years, and several challenging years, in June 2005 the Accrediting Commission for Community and Junior Colleges announced its decision to revoke Compton Colleges accreditation. In August 2006, the El Camino Community College District Board of Trustees approved a Memorandum of Understanding to provide educational and related support services to the Compton Community College District residents. El Camino College provides accredited instructional and related support to meet the needs of Compton Center students. El Camino College courses are taught at El Camino College Compton Center by Compton faculty. Administration at Compton Center is led by the Superintendent/President of El Camino College. The Vice President, Compton Center, oversees the daily operations at El Camino College Compton Center. Through the agreement, residents of the Compton Community College District continue to have access to university transfer and career and technical education opportunities, as well as financial aid, basic skills courses and related support services, right in their own neighborhood. El Camino College Compton Center has five academic divisions which include many academic programs. Each division offers a comprehensive transfer, degree or certificate program. Compton Center offers transfer majors for students planning to transfer to a university or professional school. They also offer an extensive list of certificate programs in addition to A.A. and A.S. degrees. Their faculty members are experts in their field - all have master's degrees or equivalent. They are dedicated to student success and classroom teaching - no graduate assistants or aides teach classes. Compton Unified School District (CUSD). Compton High School has a student population of approximately 2,500 students and over 175 staff members (100 certified and 75 classified). CHS is located in downtown Compton just south of the Compton City Government Offices and Courthouse Complex. 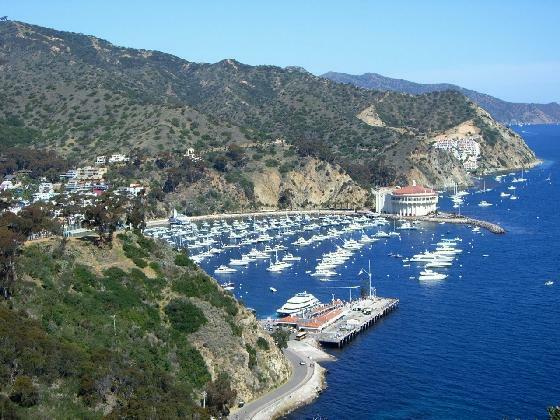 The Center conducted its 4th Compton To Catalina Program trip. The trip was completely successful and the students thoroughly enjoyed their experiences. The California Center for Economic Initiatives recruited the students and John Long conducted the tour of the Southern California Edison Pebbly Beach electricity generating plant. AAEA published an article on March 28, 2013 recommending that the California Public Utilities Commission (CPUC) should reject the proposal to underground the electricity transmission lines through Chino Hills, California. We received quite a response (see Comments) from residents of Chino Hills. I was challenged to visit Chino Hills in order to get a direct view of the power line issue. I promised to visit and I did two months later on Wednesday, May 29, 2013. The videos below chronicle that visit. I found that any issues the residents of Chino Hills might have with the transmission lines are mirrored in Compton. 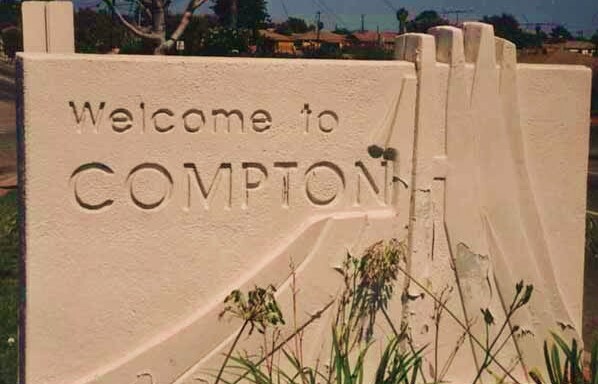 The videos below also chronicle the issues in Compton. The bottom line is that undergrounding electricity transmission lines is very expensive. And California already has the highest electricity rates in the country. These rates might not bother residents of Chino Hills, but they sure do impact low-income people in other areas. Rates will by necessity rise in the future due to other electricity infrastructure requirements. The median income in Chino Hills is $100,000 per year compared to $40,000 per year in Compton. Renewable energy is also being delayed or prevented from being delivered because of these types of obstructive challenges to reliable electricity delivery. The visit only fortified my view that the lines should not be placed underground. Moreover, I visited Compton the same day and observed multiple electricity lines running through that community. I have concluded that if the CPUC decides to approve the underground plan for Chino Hills, then they should approve a similar plan for the lines in Compton. To rule otherwise will represent an environmental injustice and we will strongly consider challenging the CPUC on this issue. In fact, if the Chino Hills plan is approved, we will probably begin an all out campaign in Compton to highlight the disparate treatment. 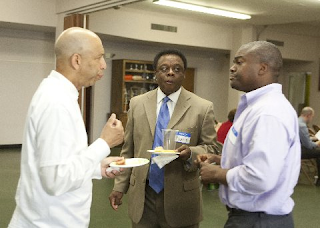 AAEA has increased its outreach in Compton and intends to continue expanding its activities in this community. We wrote the original article based on the general view that affluent communities successfully fight these types of projects, whereas less affluent communities end up with most of the nation's industrial infrastructure. We believe the burden should be evenly shared. Thus, our comparison of Compton and Chino Hills. The residents of Chino Hills will continue to scream at us because their self interest trumps any concern about the power lines running through Compton. Such lines are needed to provide the power we need in America. All we are saying is that communities should share in accepting some degree of inconvenience. The distribution lines throughout the most affluent community in Chino Hills are already all underground. Whereas such distribution lines run above ground throughout Compton. The ball is in your court CPUC. We think this issue represents a larger picture that should be publicized nationally, depending on the CPUC decision.